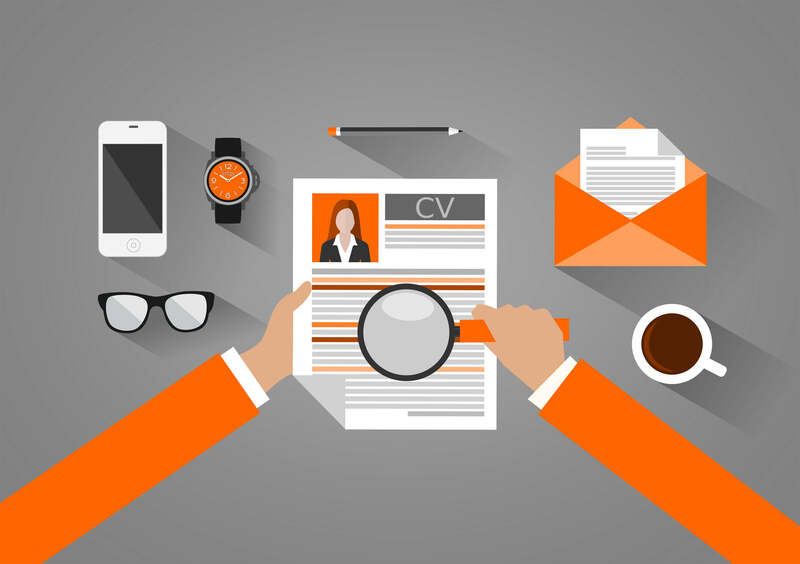 Your resume is more than a summary of your skills and qualifications, it’s the first impression you make on a recruiter and on a potential employer. It’s important to remember that what you present on your resume will either meet—or fail to meet—employers’ expectations of you as a potential candidate for the job. And we all know what happens if it fails. As a recruiting assistant, when I open a resume, the first thing I look at is your name and your current or most recent job title, followed closely by your education. It shouldn’t take me more than a few seconds to locate them. Then I delve into the “meat” of the resume—your experience and other qualifications. Lack of organization and inconsistencies that cause confusion. Too much irrelevant information or, as I like to call it, resume clutter. Generic, one-size-fits-all resume content that doesn’t show purpose and intention. That’s why I’m offering these suggestions on how to successfully format your resume to avoid these mistakes. The most common resume format—and the format preferred by LAC’s recruiters—is reverse chronological. Chronological resumes are organized by listing your most recent work experience at the top, and moving backward from there. This format works well for job seekers with experience in their field and/or a steady employment history. Chronological resumes are easy to read and allow hiring managers to quickly identify the key traits they are seeking. The alternative is the functional resume format, which is organized into categories highlighting your skills and achievements. This format is ideal for recent grads and job seekers who are new to the industry or exploring new career paths. Functional resumes allow you to take charge of your own narrative and shift focus away from previous employment gaps. Both chronological and functional resume formats allow you to organize your professional history and skillset in support of your candidacy. Regardless of the format you choose, keep it simple. 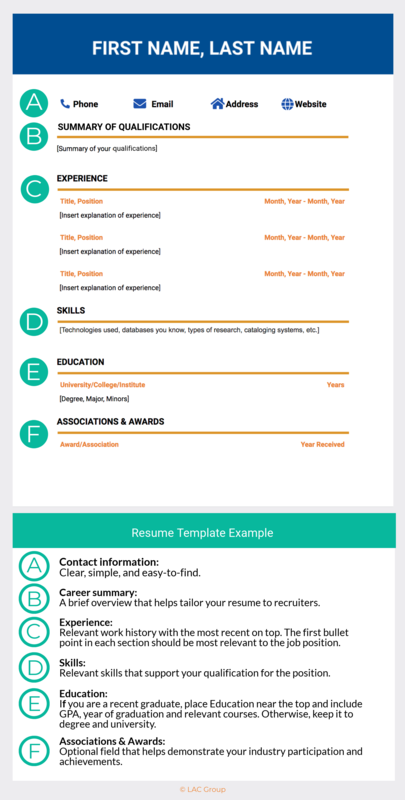 Create a solid resume that can be easily tweaked for each job application. Your resume should always be tailored to the job you are applying for. Establishing a strong format that can be easily reorganized and adjusted to incorporate keywords and mirror the job description will save time while also minimizing typos and errors. With a good understanding of the job description, you can make quick adjustments that will draw the recruiter in while maintaining the original format. Don’t be afraid to get creative with your job title. While it’s what you do in the position that matters, a more relevant title will convince the hiring manager to read through your responsibilities. The first bullet point in your list of responsibilities should always be the most relevant to the position you are applying for. The idea of ‘less is more’ is generally a good mantra when writing a resume. Remember that your resume should open the door for a conversation by focusing on the highlights. A common mistake I see from candidates is the inclusion of information that clutters. This includes specifics such as salary or hourly wage for each position, exact dates (a month/year format is all you need), company addresses, supervisor information, hours-per-week, etc. These details are non-essential for the first step and ultimately distract from the key traits that will get you a phone call. Essential and non-essential information can change depending on where you are at in your career. Recent graduates with little to no experience should include their GPA, the year they received their diploma and a list of relevant coursework. Seasoned professionals should focus on the hands-on experience that makes them a viable candidate, including only their degree and the university they received it from. Second only to having a personal connection to the employer, your resume is your most valuable job tool. As such, it should be organized for easy reading, with the most important information relevant to the job description clearly emphasized. It should present you the same way you present yourself showing up to a job interview. 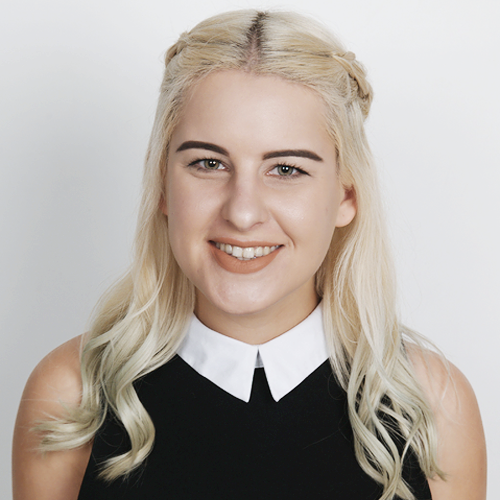 At LibGig, we want all potential candidates to put their best foot forward. Yet we have an obligation to our employer clients to present only the best candidates for their openings. With the right resume, we can achieve both of these goals.